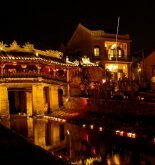 Ancient town of Hoi An is well known as a “living museum” of material and intangible culture. Among a number of cultural values, Bai Choi game has significant position in the spiritual and cultural life of the local people. Through the vicissitudes of history, the love of people to folklore art is preserve and promoted from generation to generation. Bai Choi is a type of folk art and folk games featured in the Central of Vietnam. Throughout history, it has been developed into a festival of Vietnam. Bai Choi is annual organized at the beginning of the year to welcome a new year. It is the chance for people to communicate through songs and to entertain with game. The festival starts from the 1st day of year in lunar calendar. The opening of the festival is performing gratitude to Buddha, gods in heaven and the ancestors. This is most solemn part of the festival. After the formal ceremony, people gather together following the drum sound to join in the main part of the festival. Bai Choi is the combination of singing Bai Choi and playing cards. The attraction of Bai Choi singing is the lyrics of song and the melody. Lyric is not only word with rhyme but also a story about daily life. The teller sings the song under melody of folk music played by traditional music instruments. Along with drumming and boisterous music, the song was smoothly performed in unceasing applause of the audience. In additions to singing Bai Choi, playing Bai Choi is a popular activity in the festival. The stage opens for visitors to participate in the game. The game has two teams with many cards of a deck. The card has name written on the paper glued on bamboo stick. There is a teller who will have another deck of cards in a bamboo tube. He will shake the tube to choose a card and speak loudly the name of the card. However, he never speaks out directly the name but hide the name of card in a sentence of song. The participants of two teams have to pay attention to listen to the teller and figure out if they have the card. If they have, they will knock on small drum to sign the teller. The team who collects three cards first will be the winner and awarded by a tray of rice wine and happy traditional music. Nowadays, the festival is organized in small range to serve customers every evening. World Cultural Heritage Site Hoi An welcomes more than 1.5 million visitors annually; including about 900,000 foreign visitors. 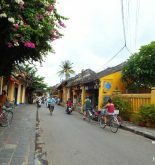 Therefore, Hoi An is regarded as “gateway” for international exchange. 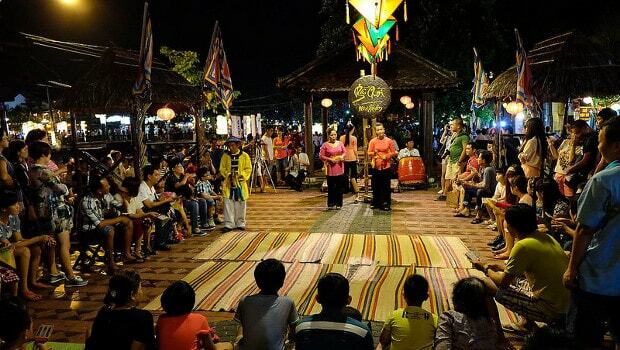 When visiting the old town, visitors have several ways to approach this kind of Bai Choi, which is in the space of the old house, at an outdoor stage in the evening or at the Theatre Popular traditional art Hoi An. Bai Choi is on the journey to be recognized as intangible cultural heritage of humanity. For people in Hoi An, Bai Choi has long become really spiritual and cultural heritage of the whole community that need to be preserved, elevated to showcase to tourists. 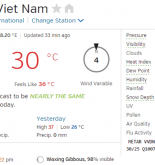 When is the best time to visit Hoi An?